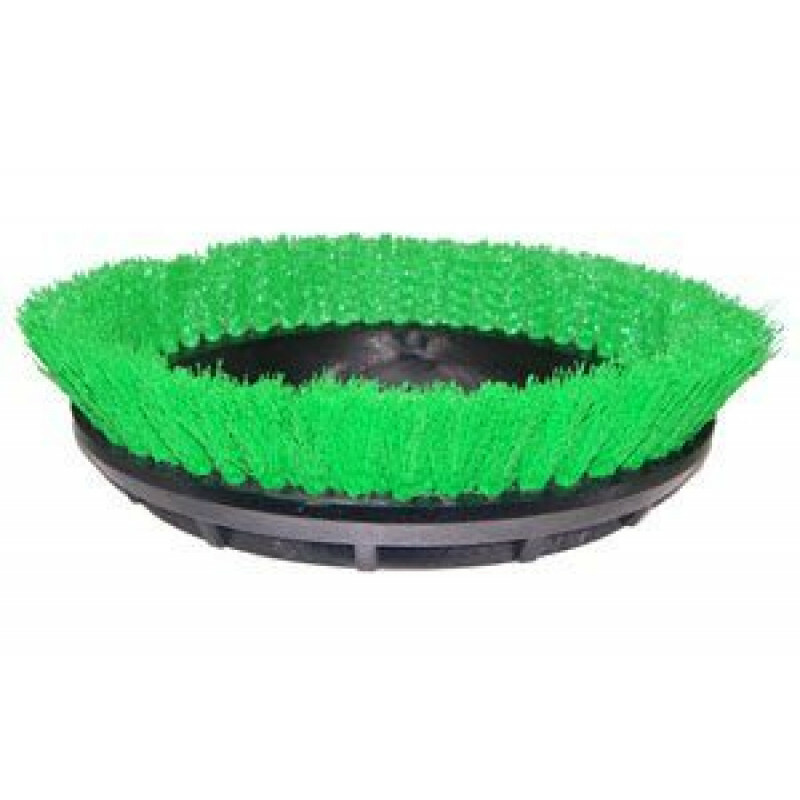 This green brush with .015" poly bristles fits directly onto our Oreck 12 inch electric floor buffer and is the brush of choice for everyday cleaning applications. It is slightly more aggressive than the light duty union mix brush, but less aggressive than the blue scrubbing brush and orange heavy duty brush that we carry. 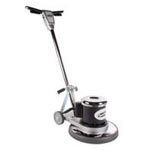 Perfect for natural stone floors such as travertine, marble, granite and slate in both residential as well as commercial settings! Return to our full selection of floor scrubbing brushes.